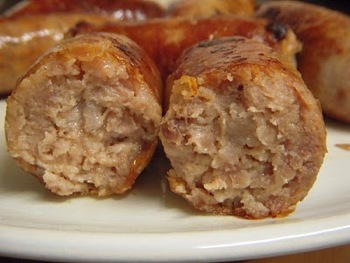 A sausage fan in Kings Lynn has been out and about rating the best sausages for his blog here. Read what he thought of local butcher Bowers below. He clearly enjoyed sampling some of Norfolk’s finest. Maybe I should make Bowers a destination for The Sausage King Adventures? 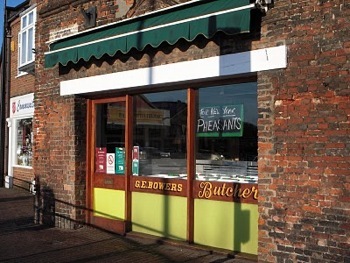 Bowers’ is a small traditional butcher shop, which can be found on Gaywood Road in King’s Lynn, close to the famous Gaywood clock tower. You will always be afforded a warm welcome here, and the smell of the shop will tickle your tastebuds before you’ve even bought your meat. There is often a queue in Bowers’ which will allow you time to peruse the black and white photographs of Victorian King’s Lynn which cover the walls. A Norfolk, pork, sausage has to be the starting point. Meat Content: No “official” figure from the butcher, but this sausage is Very Meaty. You need to bite into it, which marks it out as a solid piece of dead pig! Flavour: Delicious! 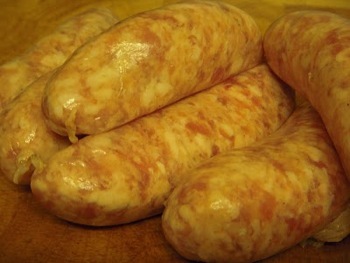 There is a major amount of pork in this sausage, and it is backed up with a spicy additions from the maker. It’s the first sausage to be tested at 2-Sox Towers, and it’s an extremely tasty one. Lovely and porky, and flavoured just so, this is a very good sausage. Texture: Slicing through a banger and seeing what happens helps define its quality. A cross section of this beauty shows a high proportion of meat and very little filler. When you put a slice in your mouth it tastes like almost solid meat – this may be a defining factor in future tests. Stands the test of Six Piece Slicing without crumbling. Value For Money: These sausages cost £6.60 per kg. 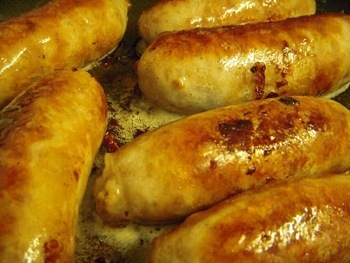 As these are large bangers, that works out at 51p each. The excellent flavour makes these sausages Well Worth Every Penny. Sausage King’s note: I hope you enjoyed this review as much as I did although I am pretty hungry now! If you like this review check out the Rate My Sausage website to see more. If you think I should definitely include Bowers on my motorbike powered adventures get in touch and let me know.